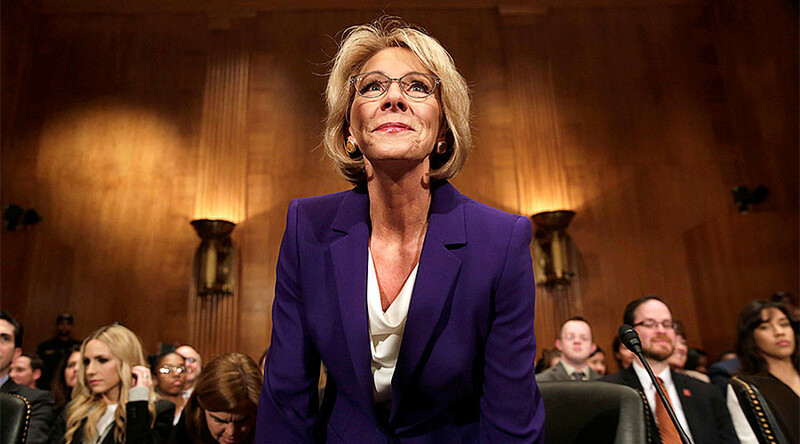 The US Senate committee for health, education, labor and pensions voted 12-11 to approve Betsy DeVos as education secretary, clearing the way for a full Senate vote on the nomination. The deciding vote from Senator Orrin Hatch (R-Utah) came by proxy, causing some controversy. Democrats on the committee called for a new vote, arguing that proxy votes cannot be counted. While Democrats on the Finance Committee stalled the nominations of Health and Human Services Secretary Tom Price and Treasury Secretary Steven Mnuchin, they showed up in force for the DeVos hearing to express their displeasure with President Donald Trump’s pick to oversee education. Senators Patty Murray (D-Washington), Bernie Sanders (I-Vermont), Elizabeth Warren (D-Massachusetts), Maggie Hassan (D-New Hampshire) and Tim Kaine (D-Virginia) blasted the nominee as unqualified and unsuitable for the post due to conflicts of interest. DeVos is the chair of the Michigan GOP and leads a nonprofit advocating for the use of federal vouchers for private schools.